Read more about Layton: Curious Village in HD on our blog! Help Professor Layton search for the Golden Apple. How about having some cool archeology time? All you have to do is help Professor Layton, a famous English gentleman, and his assistant Luke, at his digging looking for the famous Golden Apple, hidden somewhere in a village. Whoever finds it, will instantaneously inherit the Reinhold Estate. Play Layton: Curious Village HD on PC and Mac with BlueStacks and begin your search for clues and the Apple itself! Do everything in your power to help the Professor get there before other people does, in a super interactive and puzzle-shaped adventure title, packed with many mission to complete and challenges to outcome. Enjoy the animated scenes and make sure to dig the entire settlement of St. Mystere to finally find what you have been looking for so long now. 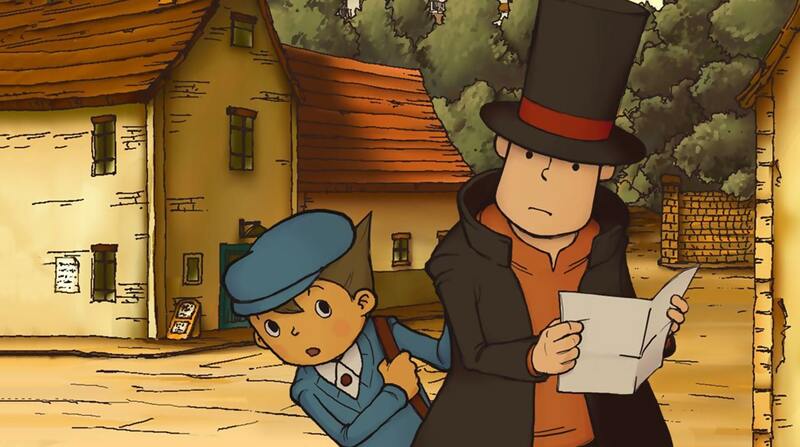 Download Layton: Curious Village HD on PC with BlueStacks and prove you have what it takes to become a great archeologist, or at least to help someone who already holds that title, like Professor Layton and his assistant Luke. Why play Layton: Curious Village in HD on Bluestacks? Play Layton: Curious Village in HD. Redeem your BlueStacks Points. Get rewards! Layton: Curious Village in HD is a game that comes equipped with OTB(Out of the Box)/Ready to play controls to help you squeeze out every little advantage to beat your competition (Or play comfortably if the game is casual). 6 You're all done! Enjoy playing Layton: Curious Village in HD on your PC. Talking about digging and digging out precious things, like the Golden Apple, how about, for example, also digging out the best out of your entire gameplay experience? We have the perfect tool to do that, and it is called the new and improved BlueStacks, the most powerful gaming engine ever developed by men! So, are you interested in it? Of course you are, who wouldn’t? After all, there are millions of players already using the amazing power-ups only BlueStacks can offer. Download Layton: Curious Village HD on Windows 7, 8, 10 with BlueStacks and instantaneously take things to another step, by relying on the amazing advantages you are about to get the chance to know, like the Keymapping tool, to customize your entire scheme of commands, the Combo Key macro feature, to create shortcuts for your best sequences of actions and even the BlueStacks Points, to collect and then exchange for incredible gamer items at the store, including Pro Gamer rewards. What are you waiting for to experience the ultimate freedom only BlueStacks can offer? Embrace it right now! Dig other curious out there online! A good place to meet people who share the same interest as you is the great online gaming community, a place packed with players from the entire world. Play Lauton: Curious Village on PC with BlueStacks and broadcast your game in real time with just one click, via your favorite social network, like the Twitch.TV, Facebook Live, Twitter or any other social network you prefer using. Interaction is everything at a gamers life, and you should be willing to socialize your game right now!